It's Summer! 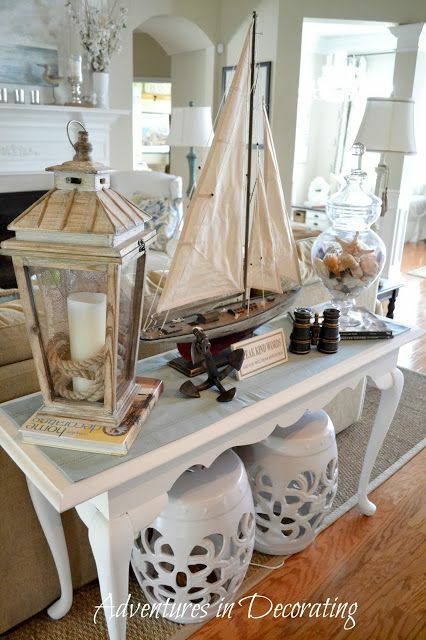 What better way to enjoy Summer and celebrate the season than by adding a few nautical accents to your home? In this post, there are 10 awesome rooms and ideas to get your imagination going! I love the paleness of this room and I love these jugs! 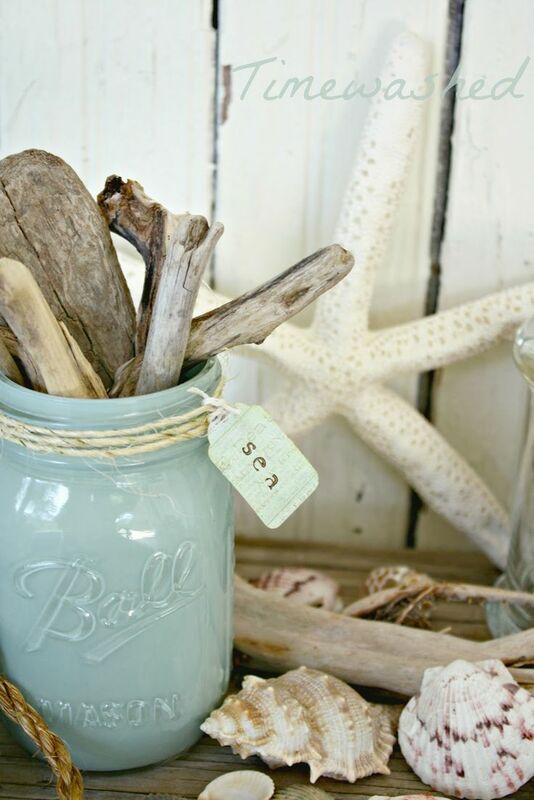 Sea shells and drift wood in a painted mason jar, how cute! 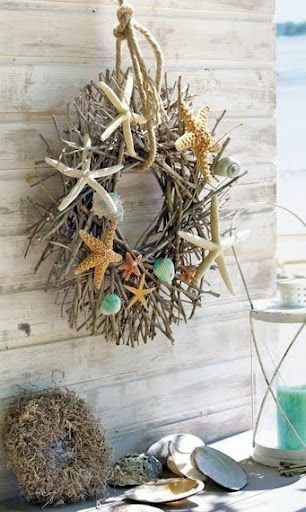 I love this wreath and the possibilities on where to hang it are endless! 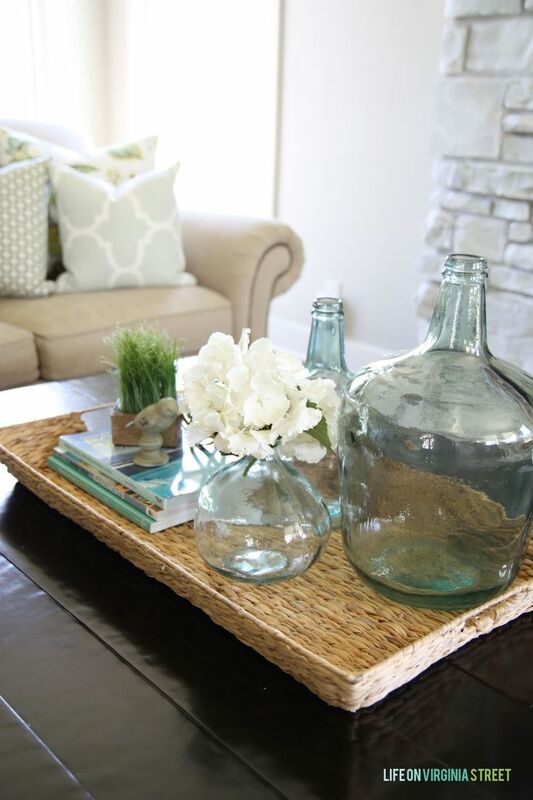 This is an awesome idea to decorate a table in a hallway, a mantel or even as a tablescape on your dining room table. 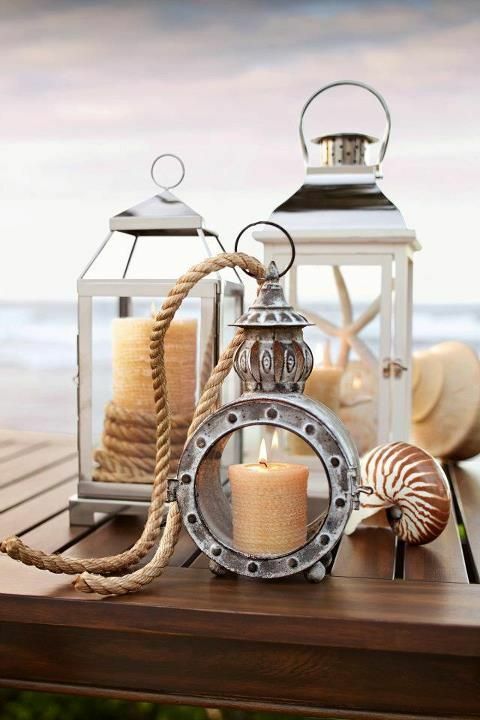 These beautiful lanterns are perfect indoors or out. My favorite is definitely the one in the front! I'm a sucker for a sail boat. I love this one. It looks so vintage and it's paired so well with the lantern and apothecary jar. Love, love, love! This coral is beautiful and I love the cushion covers/pillows as well. 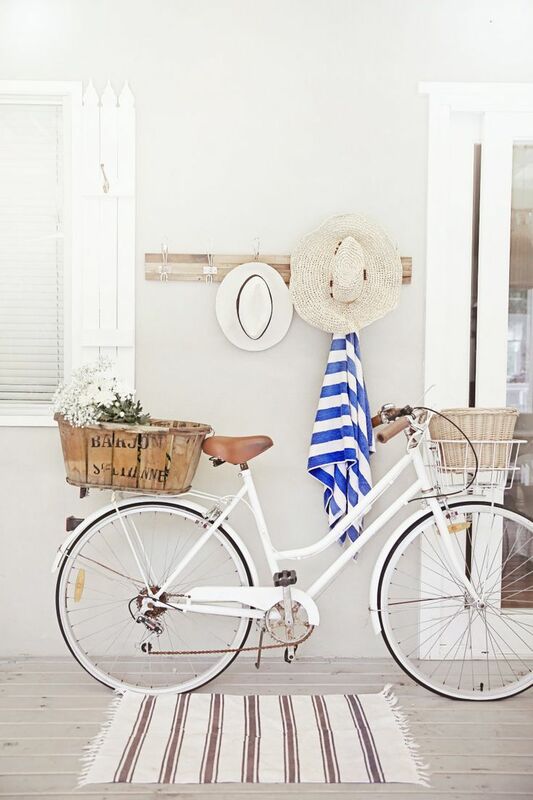 This bike makes me want to go for a ride on the boardwalk! 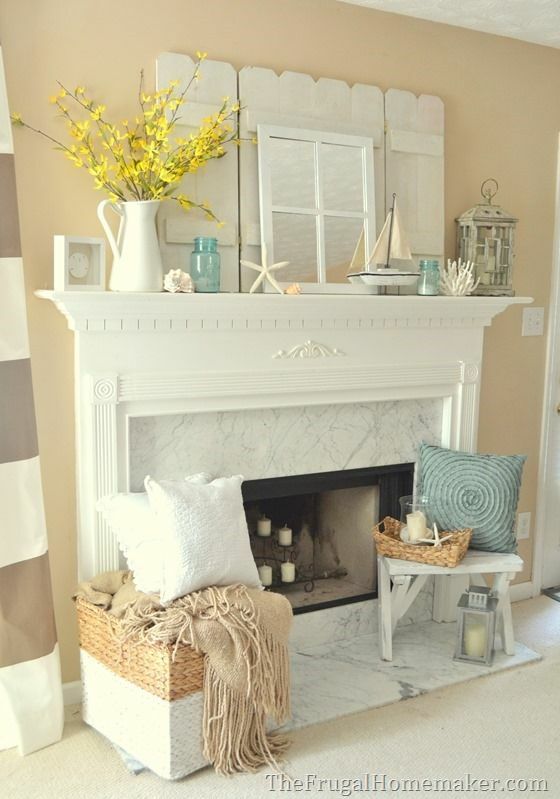 This is such a pretty coastal mantel and I love the pop of yellow. Such beautiful ideas. Now I want to go buy seashells! These are wonderful! I love the beach decor! I have quite a bit of it in my house alos. I just can't resist a cool looking lantern! 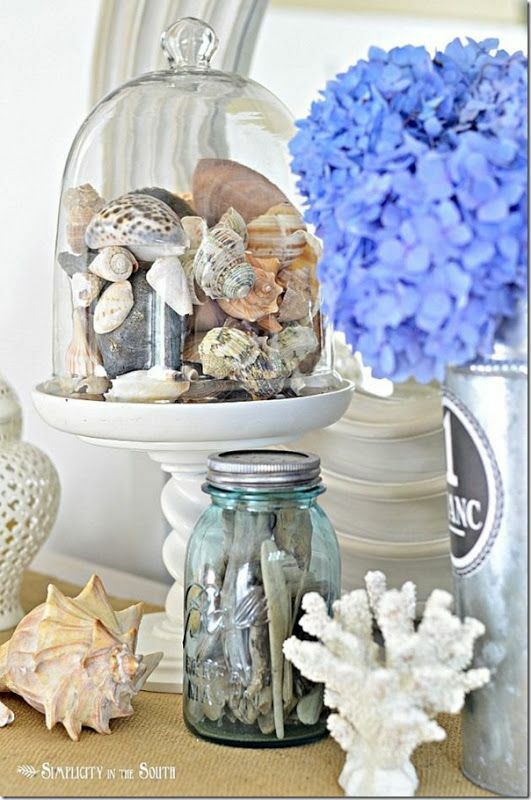 Aww what fun beach ideas, the cloche of shells caught my eye, great way to display them. You find great posts to feature. Thanks for sharing on Friday Features on Oh My Heartsie Girl this week! Thank you, Karren! I love partying with you! I love your ideas!! 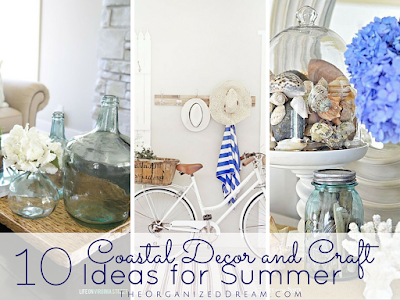 The beach is truly my "happy place" and my husband & I have recently been discussing incorporating that theme in our decorating. I can't wait to show him this post! Thanks for sharing. :) I'm visiting from Faith Along the Way's Saturday Soiree. These are lovely ideas, Kate. I especially love that wreath. 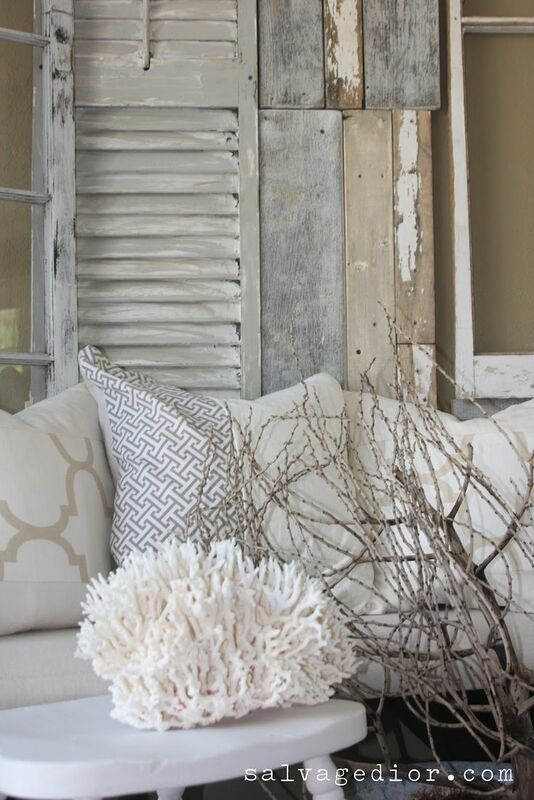 If you're interested, I'd like to invite you to post on my new blog hop at myflagstaffhome.com. It's open all weekend. Sorry to have missed your party, but hopefully I can make it this weekend! Love all of these ideas! They really make me want to take a trip to the beach! Oh, these ideas are wonderful. It makes the rooms look fresh and clean for summer. We love the beach (we just came back from there) and this look would extend those sweet summer memories. Thanks for sharing. Visiting from A Pinch of Joy. So pretty! Stopping by from Show and Tell!